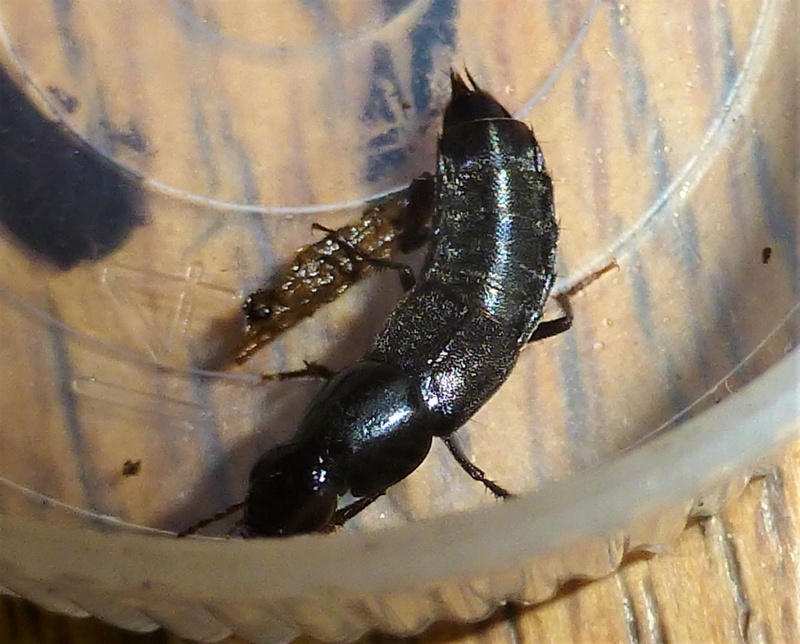 With a length of 10 to 15 mm this is one of the larger rove beetles. 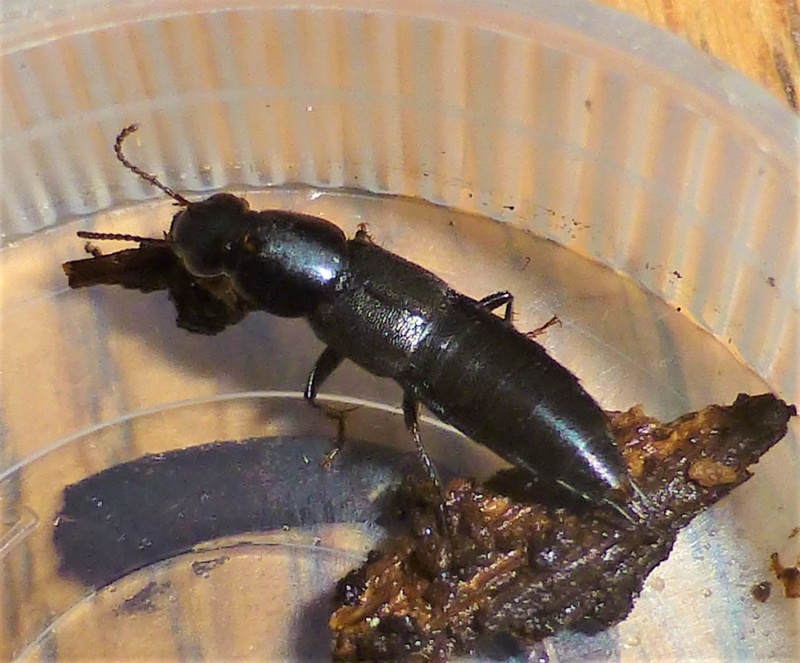 It is a dark species with a mainly black appearance and is similar to several other species, especially the more common Quedius curtipennis. Detailed examination is necessary for identification. Often found in woodland or well wooded areas, although not exclusively so. 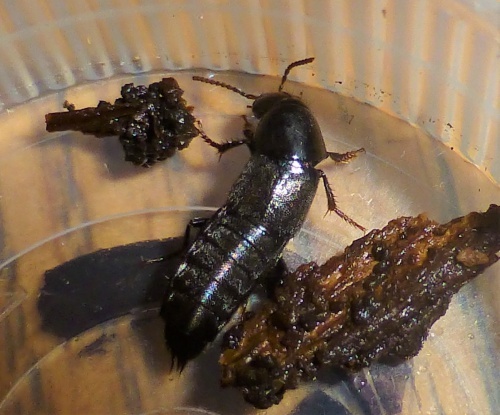 May be found under stones, behind bark, in leaf litter etc. Can be seen in most months of the year. Occasional in Leicestershire and Rutland. 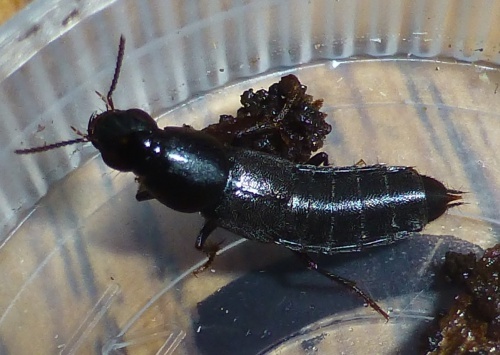 There were approximately 36 VC55 records for this species up to March 2015.